Dan is a young inventor in love. He ventures into a forest looking for a rose but instead finds the mysterious Grumpface who threatens to hold him captive unless he passes some difficult challenges. 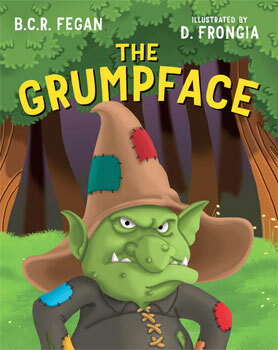 What follows is a humorous adventure that neither Dan nor the Grumpface could have anticipated. Every parent will be aquainted with their own little 'grumpface' now and then. This story stands as a small piece of hope - that no matter how ingrained the grump, there will always remain in every one of us a smile or a laugh just waiting to come out. BCR Fegan is an Australian author who has written a number of fairy tales and fantasies for children and young adults. He is inspired by stories that resonate deeply with our desire for adventure, yearning for magic and search for meaning.